Ghaziabad: PS Sihani Gate bursted an illegal arms factory near elevated Golchakkar from Nandgram area and arrested 3 persons alleged to be involved in making illegal arms. 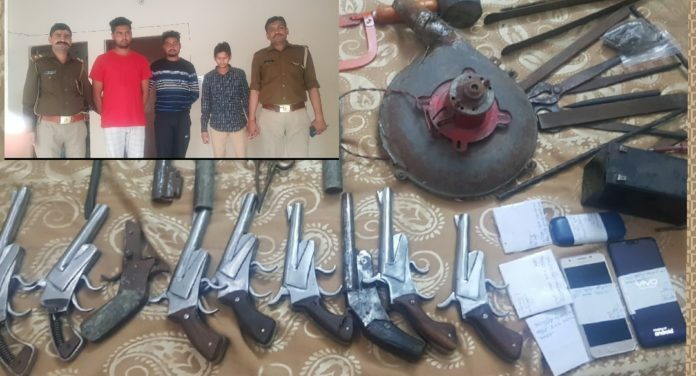 Police seized 6 fully built pistol of .315 bore, 3 partly built pistol of .315 bore, one partly built pistol .12, Iron rod, Naal, file, Bhatthi, Hammer and other tools of arms making from the spot. This illegal arms factory was detected at the forest behind yard of one, Jay Sharma near Elevated Golchakkar. Arrested accused are being produced before Magistrate for further action on the subject. Arrested accused are resident of Aligarh. During investigation it came to the notice of police that this factory just had started function 3-4 days back. Earlier they used to make arms from different district of UP. 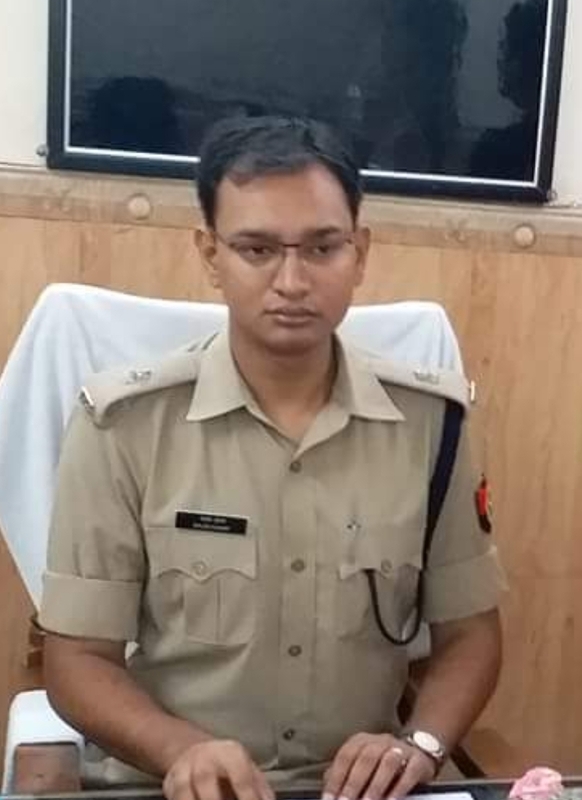 Infact seeing election in the city police is vigilant and this outcome is because of activeness of police that they could detect such illegal arms being made in the district and the arms made from here might would have to be used during forthcoming Lok Sabha general election which is scheduled for 11th April 2019. In view of the forthcoming election, bursting of such illegal arms factory in the city is really a vigilant move of Ghaziabad police, which proves it’s alertness.